The London Olympic games are at the half way mark, and athletes from Oregon have made quite an impression. Oregon was represented by twenty five athletes, led by Mariel Zagunis, who was chosen to be flag bearer for the U.S. team during the opening ceremonies. Zagunis, a two-time Olympic gold medalist in fencing, was ecstatic about her honor, tweeting numerous times about her excitement. 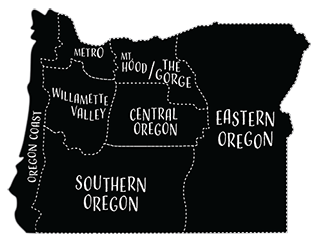 Athletically, Oregon was highlighted by Portland resident Galen Rupp’s silver medal in the 10,000m. 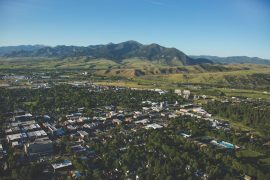 Rupp was defeated by his training partner and fellow Portlander Mo Farah of Great Britain, but his silver medal is the first medal by an American man in the 10k since Billy Mills won gold in Tokyo in 1964. Rupp was not the only Oregon making waves on the track. World Championship bronze medalist Matt Centrowitz, a former Duck, advanced to the finals of the mens’ 1500m, to be held Tuesday evening. Oregon was well-represented in the steeplechase with Bridget Franek and Evan Jager, both of Eugene’s Oregon Track Club Elite, both qualified for their respective finals. Jager finished sixth, behind gold medalist Ezekiel Kemboi of Kenya. In the marathon, Portland-based training partners Shalane Flanagan and Kara Goucher spent much of the race in the lead pack before fading to tenth and eleventh respectively. In what is arguably track and field’s marquee event, Salem native Ryan Bailey finished 5th in the 100 meter final, behind Jamaicans Usain Bolt and Yohan Blake and countrymen Justin Gatlin and Tyson Gay. Despite not medalling, Bailey’s set a personal best in the qualifying rounds. Oregon is also represented both on the basketball court and in the swimming pool. Portland-born Kevin Love looks to help his Team USA teammates win another gold medal in basketball, with the medal game coming Sunday August 12. Portland’s Elsie Windes and the women’s water polo team continue their quest for a medal, with the final matches airing on NBC Thursday August 9. Rich Fellers of Sherwood and his jumping mount Flexible qualified through to the fourth and final day of jumping, to be held Wednesday, August 8. Milwaukie native Kelsey Campbell competes in the women’s freestyle wrestling tournament on Thursday, August 9, the day after Eugene’s Cyrus Hostetler begins his quest for gold with qualifying in the men’s javelin. 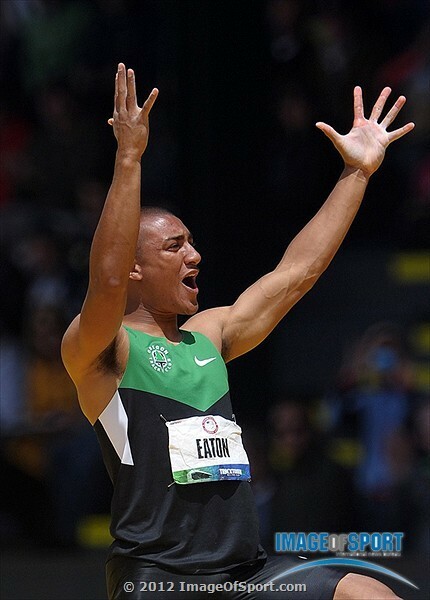 Reigning world record holder in decathlon Ashton Eaton, of Eugene, looks to add a gold medal to his already stellar season. Decathalon races begin Wednesday, August 8 and concluding on Thursday. Wednesday also sees 10,000m silver medalist Rupp look to qualify for the 5,000 meter final. Beaverton’s Lopez Lomong, a former lost boy of the Sudan and now an American citizen, also runs in the 5,000m qualifying rounds on Wednesday.